07 Dec 2018 / 14:08 H.
The Glen Grant range of whiskies has earned many accolades. WHEN a whisky is named ‘Best Single Malt Whisky’ by the most influential annual whisky guide, Jim Murray’s Whisky Bible consistently, you know you’ve got yourself a winner. Known as one of the world’s top five best selling distilleries, Glen Grant is located in the idyllic Speyside town of Rothes. Steeped in rich history and a unique personality, Glen Grant whisky’s are known for its light, refreshing and distinctive tastes. Smugglers turned visionary leaders, they introduced the railway and electric light to Speyside. And, most famously, they were pioneers of a most singular approach to distillation. James ‘The Major’ Grant was the inventor of the tall, slender stills and revolutionary purifiers that captured only the finest vapours. Together, they give Glen Grant its distinctive, elegant, fruity and nutty flavour. Today Glen Grant makes its way to whisky lovers all over Malaysia. Unlike some heavier and more robust Single Malts, Glen Grant is crisp, clear, fresh and light. This is evident in all its creations and has earned awards and recognition throughout its range of expressions. Does age really matter? When it comes to Glen Grant’s 10 Year Old, most drinkers would disagree. The Glen Grant 10 Year Old is one of the brands flagship statements and one of the world’s most ubiquitous single malts. This six-years-in-row award winning expression brings an added intensity to Glen Grant’s familiar orchard fruits. With a bright, golden colour and a bouquet of sweet pear and vanilla, this treasured single malt dances on the palate with soft and lively notes of orchard fruits and malt, and features a finish that is satisfyingly long and complex. 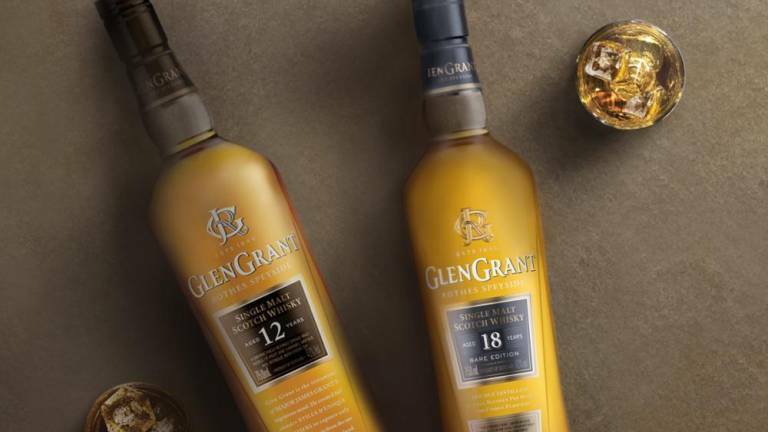 The Glen Grant 12 Years Old is one of the latest additions to the expanding single malt range of Glen Grant. Winning Double Gold at the San Francisco Wine and Spirits Competition in 2017 for ‘Best 12-Year-Old Single Malt Scotch’ and a Gold in the 2016 International Wine & Spirit Competition. The Glen Grant 18 Year Old has received accolades in Jim Murray’s Whisky Bible 2018, earning awards in the categories of ‘Scotch Whisky of the Year’, and ‘Single Malt of the Year’ for the second year in a row. This rich and elaborate expression matures for at least 18 years in the highest quality, handpicked oak casks, which creates a radiant golden colour and seductive floral and oaky aroma. The fresh air, bright sunlight and sparkling streams of Scotland’s Highlands not only give Glen Grant whiskies its distinctive, pale golden appearance, but also a clean taste that has seen it win fans around the world and enjoyed by a new generation.